The Human Resources Manager provides human resource services in the following functions: employee relations, compensation, talent management and staff development and training, benefits, staff retention, organizational development and recruiting, with a high level of expertise in area(s) of specialization. This position reports to Director of Finance and Operations, Africa and is based either in Nairobi, Kenya, or Arusha or Dar es Salaam in Tanzania or Lusaka in Zambia. 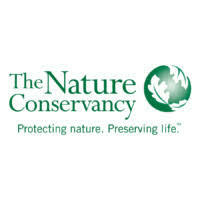 This position is regional supporting all countries where TNC has operations including Gabon, Tanzania, Zambia, Kenya South Africa, Seychelles and Botswana. The Human Resources Manager, Africa Region is responsible for administering and maintaining HR systems, programs, procedures, and plans according to HR policies, provide assistance to all levels of personnel on various HR data related issues and requests. S/he will work closely with Global HR team, Director of Finance and Operations in the development and administration of HR standards and client services that support the Africa BU. S/he is responsible for career and professional development in the Africa program, implementation of quality performance and reward systems for staff, and to develop and implement strategies for high staff engagement and support. S/he will coordinate and manage recruitments, develop & implement policies and systems across Africa in line with strategic HR priorities, build systems that provide staff with adequate staff care and capacity building, that strengthen awareness, accountability and professionalism among staff. Works closely with hiring managers in the development, review of job descriptions, the grading and establishment of a good match to the talent needs. Develops recruitment strategies to help acquire a high volume of relevant applicants that are diverse. Oversees and supports recruitments, ensures ethical hiring practices in selection process, screening of candidates, onboarding, orientations and exit interviews, supports and participates in recruitments and shortlisting’s as maybe required. Supervise HR staff, allocates tasks to HR team and provides hands-on assistance in areas where it is needed. Implementation lead for human resources objectives, priorities, and administration of HR projects, client services relevant to HR organizational initiatives. Maintains in depth knowledge of all HR policies, procedures and relevant legal requirements related to people management, ensuring regulatory compliance and mitigating legal risks. Develops, implements HR systems, policies, procedures, and best practices to strengthen the HR functions by establishing accountabilities, good records management, compliance, adherence to labor laws, TNC policies and values. Identifies issues, provides guidance, communicates, educates, implements change and evaluates milestone accomplishments. Rolls out and maintains the Human Resource communication. Provides technical HR guidance and regular sensitization to staff on key HR issues such as policy interpretation, performance management systems, reward strategies, compensation and benefits, recruitment and retention strategies, etc. to ensure a common understanding and effective implementation. Inputs into periodic change process through structural profiling of countries, makes recommendations and highlight risks based on legal and operating environment assessment. Work closely with HR business partner to provide day-to-day performance management guidance to supervisors (coaching, counseling, career development, disciplinary actions). In liaison with mobility team, prepares visas and work permits for staff in the region. Career and professional development owner within the region. Focal point person to support supervisors for their direct reports career and professional development, coaching, and in executing appropriate actions as necessary. Assists in fostering of staff learning initiatives; monitors and facilitates learning and development initiatives, recommending the e-learning connect platform for various learning initiatives. Works closely with HR business partner and generalist to keep abreast of organization HR priorities and initiatives with the Global people team. Works closely with HR business partner, to develop, lead and facilitate training sessions, related to key organizational policies and procedures, performance management and other HR subject areas, that are beneficial to the staff and in accordance with the HR and organization strategies, policies and people agenda. In liaison with the Finance Manager (Payroll), monitor and track staffs leave as per policy; Advise staff on various types of leave entitlements; analyze leave reports and ensure the communication of leave balance periodically. Maintains and disseminates the organizational charts. Conduct staff file audits periodically. Conducts reviews of employment agreements and fixed term employment contracts to ensure they are complaint to local labor laws and renewed. Works closely with HR Business Partner, to provide support on employee relation issues (including disciplinary and grievance, capability, whistleblowing, performance management, etc.). In conjunction with legal department, Ethics and Compliance teams and HR Business Partner, ensures compliance with local labor laws, TNC policies, supporting audits and investigations as necessary. Prepare performance documents in the PeopleSoft system for new hires, monitor and coordinate the introductory evaluation process. Ability to work in variable weather conditions, at remote locations, on difficult and hazardous terrain, and under physically demanding circumstances. Bachelor’s degree and a minimum of 5 years Human Resources work experience in area(s) of specialization or equivalent combination. Experience responding to HR related questions, complex problems and data information requests from employees/management. Experience working with MS Office software, including Word, Excel, Access, and PowerPoint. Advanced understanding of fundamental HR concepts, processes, and services. May require fluency in foreign language(s) to support global operations. Proven ability to work in a fast paced, complex environment. Experience coordinating and leading projects. Experience in coaching and counselling. Experience working with integrated Human Resources Management Systems. To apply to position number 47018, submit resume (required) and cover letter separately using the upload buttons. All applications must be submitted in the system prior to 11:59 p.m. Eastern Time on November 25, 2018.